Check out our charming Big Stuffed Whale 31 Inch Plush Animal by Fiesta! Measuring thirty-one inches long, this big whale stuffed animal is made of a soft blue plush with light blue accents. Our big plush whale has a very realistic look, from its lifelike eyes to its accurate body shape to its slightly open pink mouth. As with all of Fiesta's stuffed animals, the Big Stuffed Whale 31 Inch Plush Animal by Fiesta is made of all new child safe materials and meets or exceeds all U.S. safety standards. 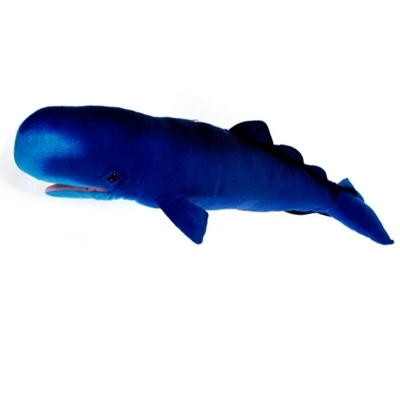 Recommended for ages three and up, our big whale stuffed animal is surface washable.